Happy Monday lovelies! Today I thought I would share a bit about my current beauty routine and break down some of my favorite products that I have been using. When it comes to my beauty routine I have definitely changed it up over the years due to my skin and throughout its highs and lows. I definitely don't have perfect skin, and constantly deal with breakouts and blemishes. I have used my fair share of topical treatments, prescriptions, and different face washes, but I don't think any of those products quite compare to my current routine which has boosted the heath of my skin tremendously and helped it regain its youthful glow and keep blemishes to a minimum (can you say BONUS)! 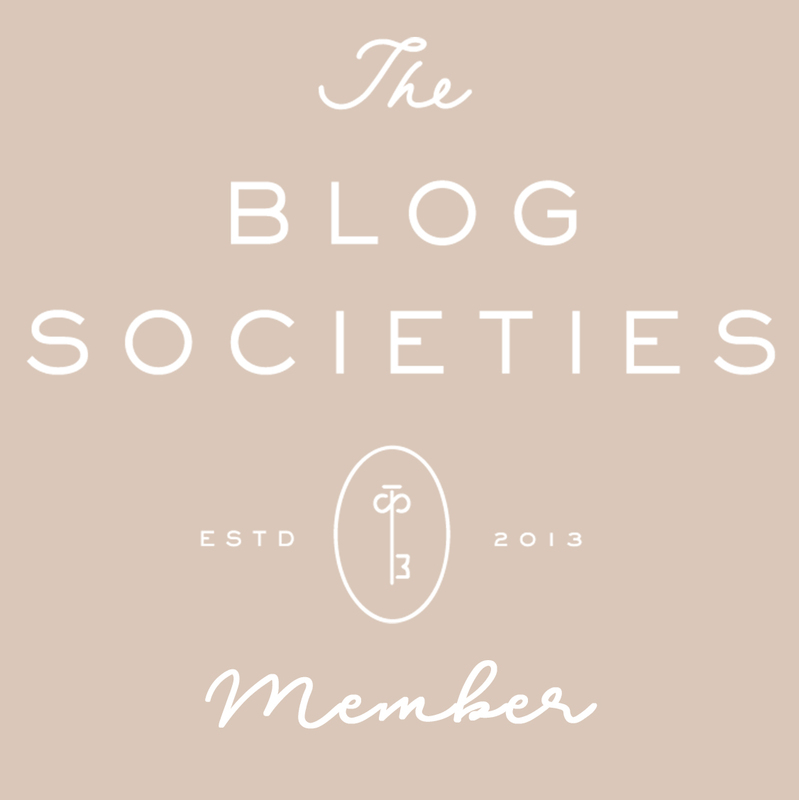 My routine right now is my own personal take on the Korean Skincare system and craze that is taking the beauty industry by storm. While I don't use all Korean skincare products, I do take into account the steps (which are the most important) and with that, I think my skin is finally able to be happy. 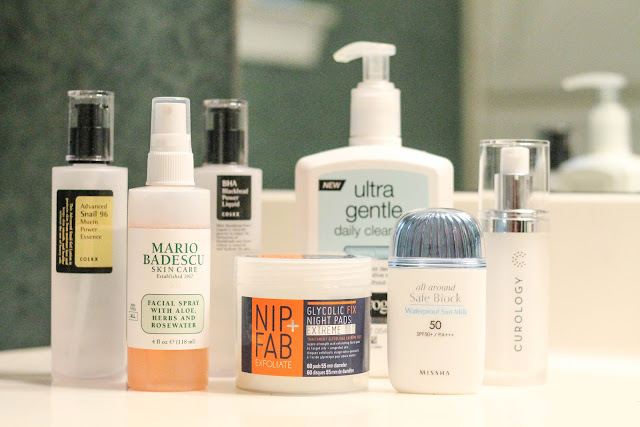 Toners and Essence are the next vital step when it comes to the Korean Skincare routine, and this is where I actually do use two Korean products. After I cleanse my face in the morning I apply the COSRX Advanced Snail 96 Mucin Power Essence which aids in hydration, repair, and brightness. And if you are wondering about the "snail mucin" in the name you would be right in assuming that it does contain 96% snail mucin which is great for skin health, and I can definitely tell the difference in my skins feel and brightness and it definitely has become more smooth as some of my scars have begun to deminish:) If I need a little extra boost I will also use Mario Badescu facial spray which everyone raves about and I now understand the hype! Not only does it smell heavenly with a light rose scent, but it is rejuvenating, and makes my skin feel extra moisturized with a boost. 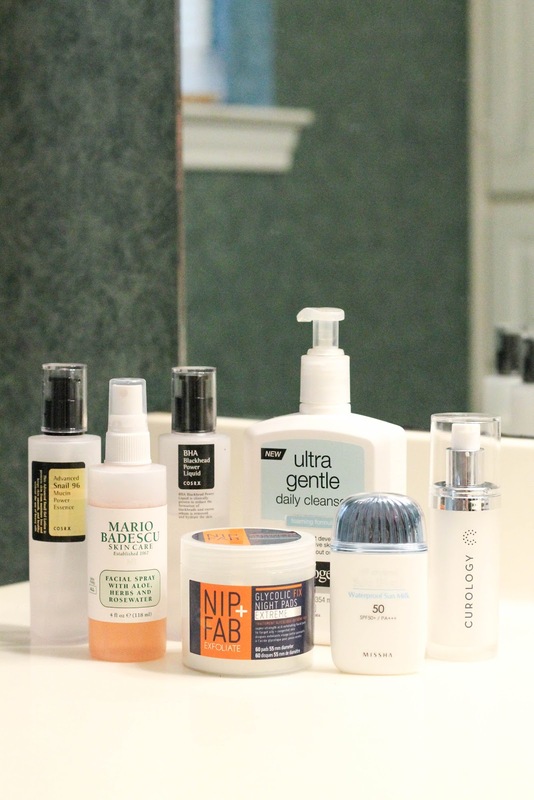 In the evening however, I alternate days using Nip + Fab Glycolic Fix Night pads which I use as my "chemical exfoliant" in the Korean skincare step routine. However, like I said, I alternate days with these, so when I am not using them I will use COSRX BHA Blackhead Power Liquid which works as an essence and simple topical treatment for my pores, and I have definitely seen a difference in my skin adding this to my routine. Last but not least are two products that are vital to the health and youthfulness of my skin. As a fair complexioned person I am always needing to apply sunscreen in the summer but I always forget that daily using sunscreen on my face will help protect it from harsh rays and keep it looking younger longer. 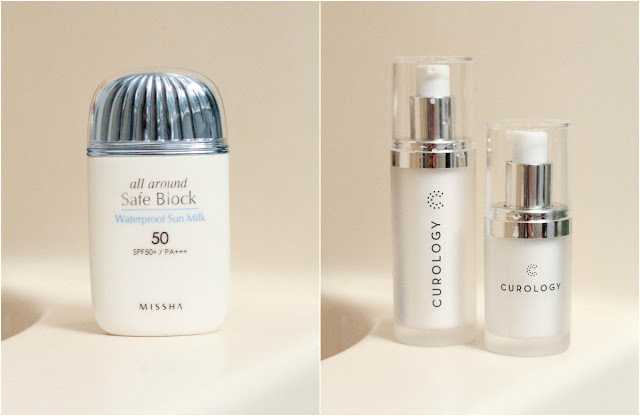 Therefore, I recently started using the MISSHA all around safe block waterproof sun milk and have been loving it! Typically sunscreen leaves your face feeling oily and its application heavy, but this formula is light, airy, dries once rubbed in and smells like a flower. Plus, since it is waterproof it holds up under humidity and sweat and also any dips in the pool. The only other thing I will add to my skincare routine once/twice a week is a clay mask to draw out impurities or a sheet mask (also part of Korean Skincare) to restore my skins moisture and glow. 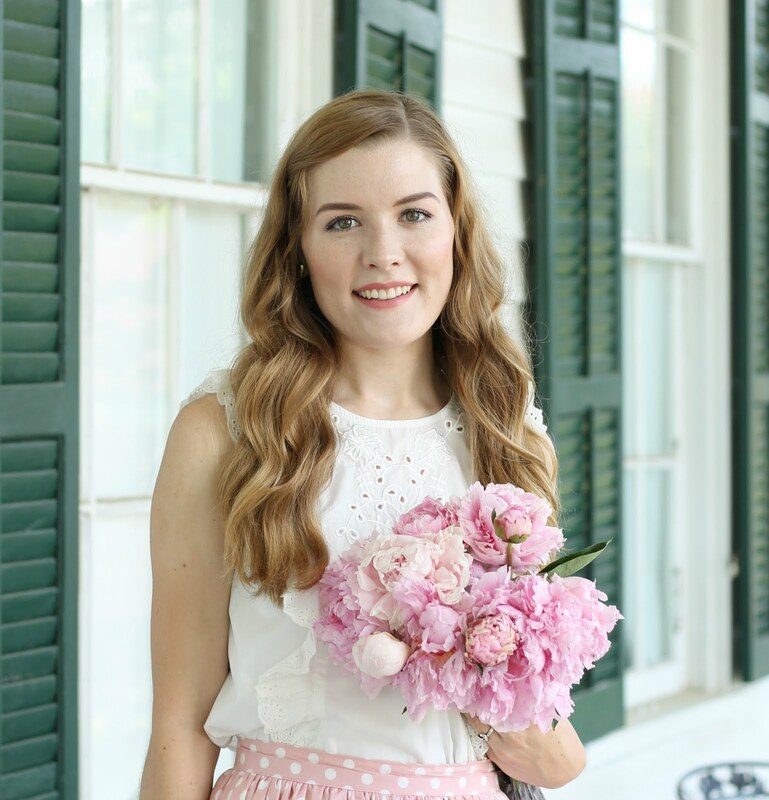 Have you heard/tried any of these products? Have you ever tried out the Korean Skincare routine? I have never heard of curology, I am dying to try it now ! Love this post! 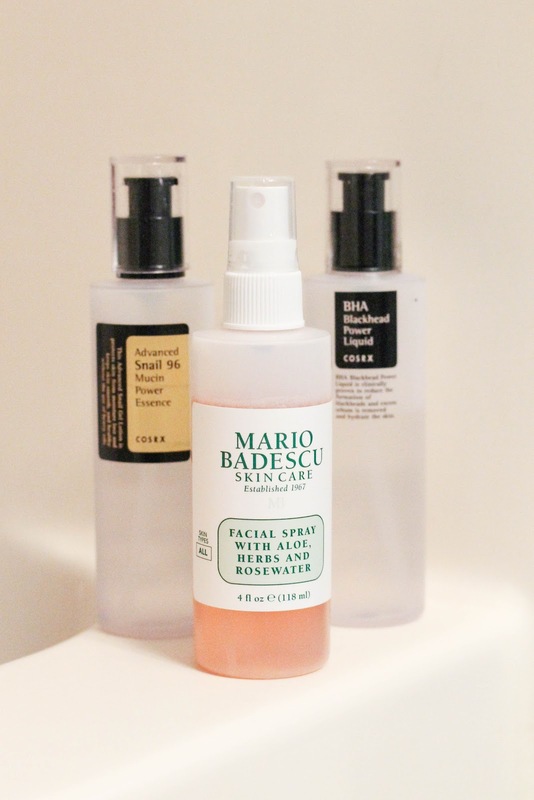 I definitely want to try out some of the products you recommend- I already use and love Mario Badescu! yeah.. these products will glow skin and will give a new look.